Maitra in Sanskrit means bond of friendship. "Help is just a call away in times of emotional distress" - that is Maitra Helpline for you. 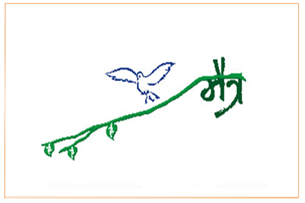 Tele counseling or rather, an "Emotional First aide" helpline is an initiative of IPH operating since 26 June 1998. Maitra is run by trained community volunteers under supervision of IPH Professionals. It follows rigorous quality standards with ‘Call Autopsy’ method as well as regular ‘call audits’ to check efficiency of counsellors. It has a record of monthly case discussion meetings regularly held for last sixteen years. Galloping urbanization, smaller or nuclear families has increased the isolated lonely feeling. The increased stress as a result of dearth of support has at times led to fractured relationships. During these times, acute need to talk to someone anonymously and get some reassurance and support is keenly felt. The need to find reliable and assured help in the mental field has further increased due to elevated stress in daily life, whether at work or at home, whether urban or rural, irrespective of age, gender or social strata. 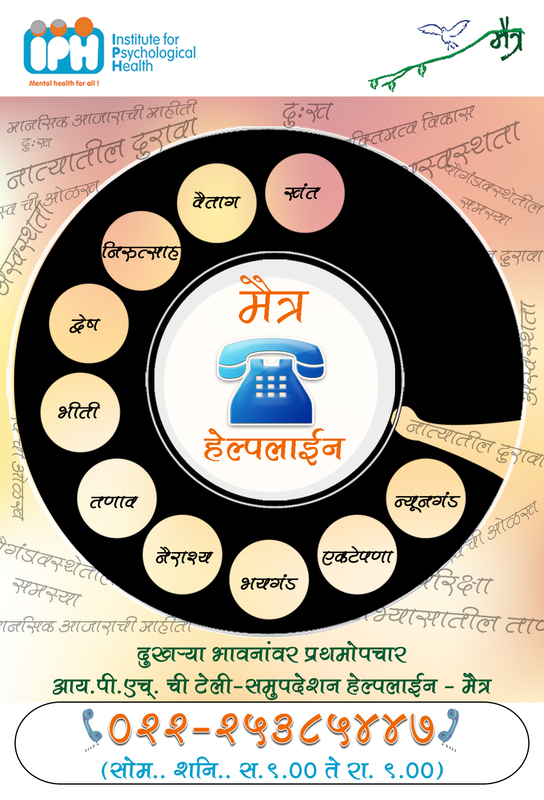 Maitra helpline, attended by scrupulously selected and trained volunteers who are also regularly monitored and guided, does the job of a nonjudgmental, empathic good listener; a faceless friend who will not reject, ridicule or tell on you- whatever your problem. Working from 9 AM to 9 PM on all working days and from 9 AM - 1 PM on Sundays, it has received about 22,000 calls till now, of which approximately 8000 are help calls. The caller is assured of total anonymity; this allows the focus on the problem areas and the discussion paves to jointly searching for the best available solution, instead of a ready made "perfect" answer (advice). "Of Human Bonds .Maitra Bonds" The Maitra story has been written by Ms Sulabha Subramaniam giving details of how the helpline started, how it functions. It could function as a manual to start similar helplines.